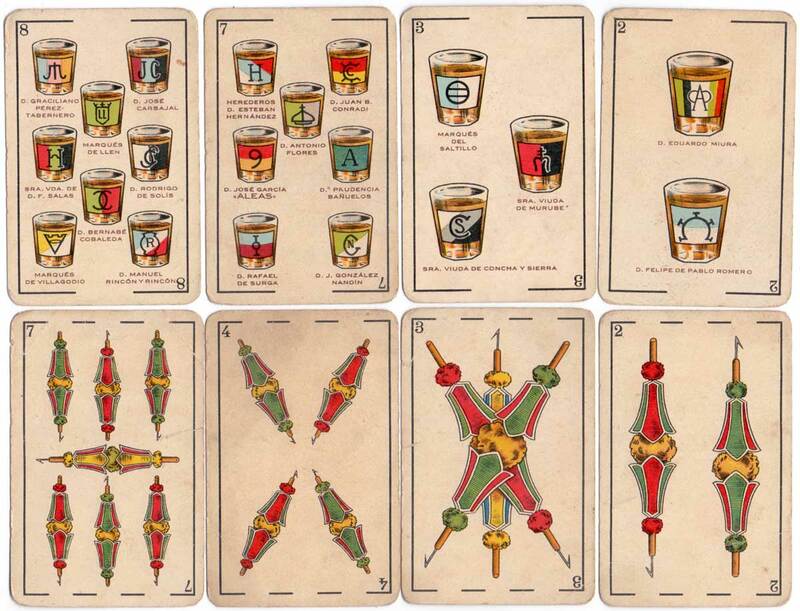 Above: cards from Baraja Taurina desigbed by J. Vázquez and manufactured by Simeon Durá (Valencia) for Chocolate Angelical, first published in 1916. 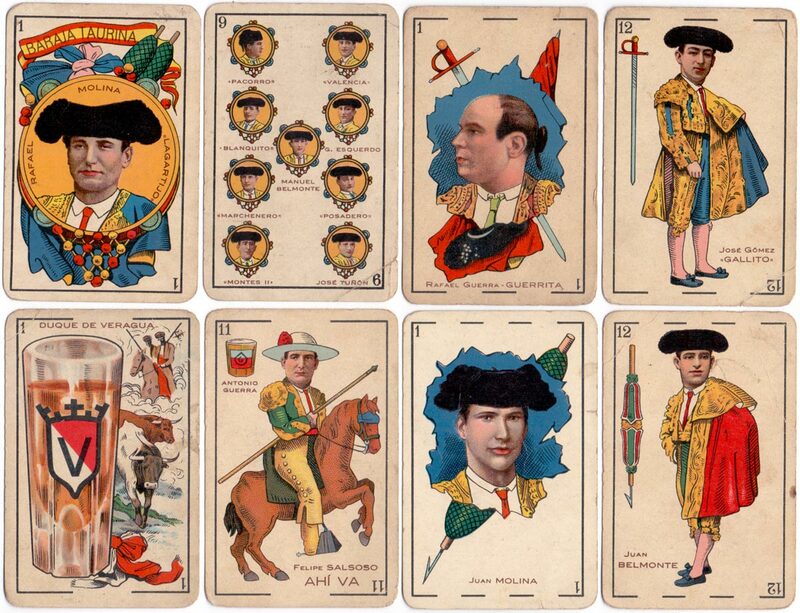 48 cards. 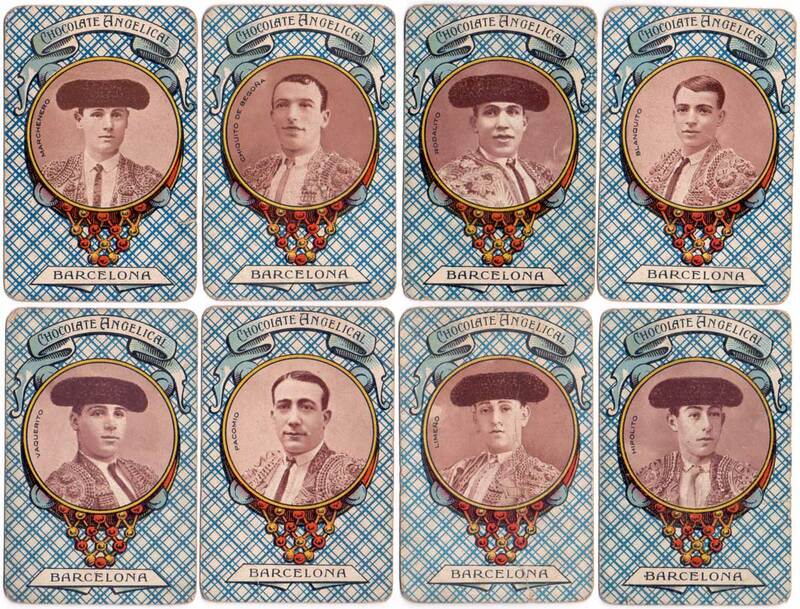 The back of each card features a sepia photograph of a different contemporary matador with advertising for Chocolate Angelical superimposed on cross-hatching. 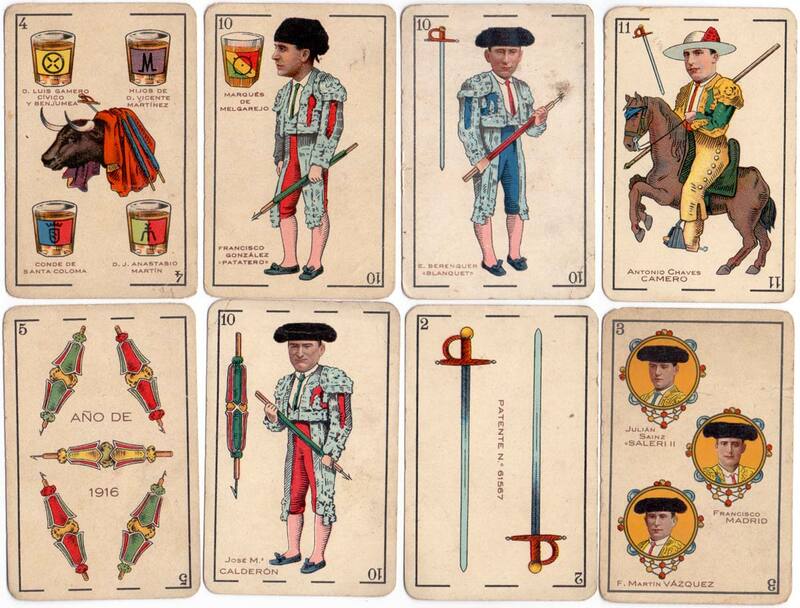 Owing to its great popularity this pack was in print until the 1930s and variations in the front and back designs and colouring can be found in the different editions.